Wildlife abounds in this variety of magnificent scenery or deep wooded valleys. Cameras are a must for the shutterbugs amongst us. Take your digital and plenty of GB memory space! Those Dartmoor trails are fascinating! Why not leave the car at home. Bring your bike. 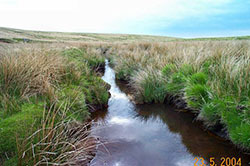 Most Dartmoor trails are accessible by bike or walking. 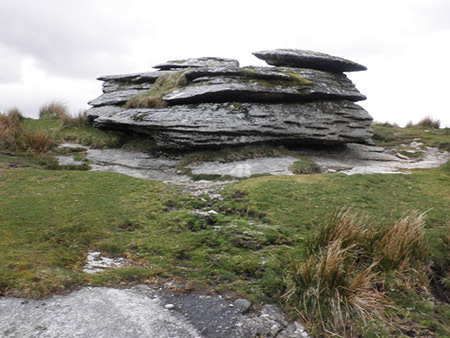 Although one can walk over a good part of Dartmoor, it is a wild, extensive place on the moors and if you have not been before or are a novice as a walker or cyclist over distance it is best to stick to the trails to avoid getting lost. If you are a novice try shorter walks or rides to start with. Most of the Dartmoor trails are waymarked, but not all. It is very possible to get lost on on the moors, many have died before they were found. Sat nav gadgets have revolutionized car travel and are now setting their sights on walking/cycling routes. Along with smart phones they are useful safety devices, but they do not replace the common sense approach of a map and compass and knowing how to use them. Mobile phone coverage on the moor is not too good. Electronic gadgets need batteries, if you are planning to use them then take spares. Make sure your device is charged before you go! As well tell someone reliable where you are going, your route and what time you expect to get there. There is an old saying “take a coat when it is dry, please yourself when it is wet”. Rather applies to Dartmoor! The weather's reputation goes before it! A good pair of boots is a good investment for moorland conditions. A bottle of water and a picnic would be handy as would sun cream. Windburn is painful too. A torch would be a good friend if you get lost, at least make you feel better! Don't forget the spare batteries!! The weather on the moor is changeable, sudden thunderstorms are not at all unknown. Waterproofs are handy. Fog can come down quickly – do not forget the animals on Dartmoor can't see in the fog either, a hazard to drivers. Hearing and direction can get disorientated. Weather in one part of the moor can be different to another, Checking the weather before you go is practical. You may well be lucky, there are many days when it is hot and dry. Stay safe and enjoy your break. The Army use Dartmoor as a firing range – a live firing range. 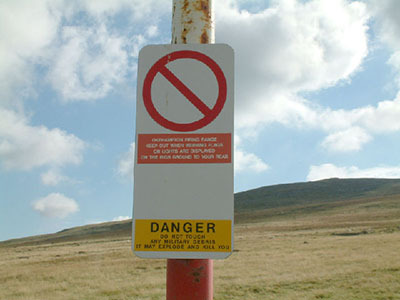 Red Flags are posted where this is taking place, not only on the firing range being used, but on prominent hilltops. People are watching to make sure no one strays on to the range accidentally, and this usually works. Firing ranges are indicated by red and white poles.. Do not pick up any army debris you may find. Firing days are published in local newspapers and Tourist Offices have the information. Great Western and Virgin accept bikes, but a charge is made and booking may be required. Replacement buses may not be able to carry bikes. Virgin of course does not travel to the south west, but if you are travelling from the north or Wales you may need this service for the earlier part of your journey. Travelling from London – First Great Western all the way. Cross Country Trains are very useful indeed and run services from Aberdeen to Penzance through Birmingham and to many places besides. For the latest news, fares, timetables and bike bookings see their website. One way to get cheaper train tickets is to try The Train Line All train lines are available and one can save an average of 43% on tickets bought on the day! Then there is another inexpensive way of travelling to anywhere in the United Kingdom, and to see the countryside go by, is by National Express coaches. They are comfortable and frequent. Bikes can be carried in the hold if they fold in half and are packed in a proper protective carrying case. A journey planner for train, coach and bus can be found at the Traveline website. Or you might prefer to browse some more, please do, there are navigation buttons above on the left.